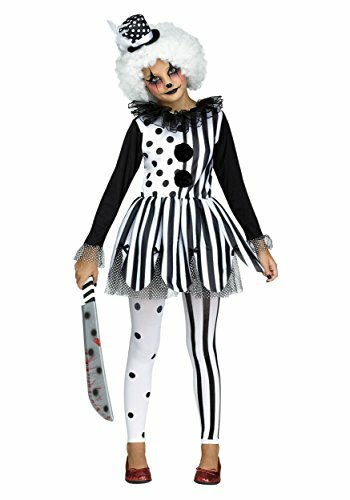 Scary Clown Halloween costumes are always a favorite with kids and adults alike. 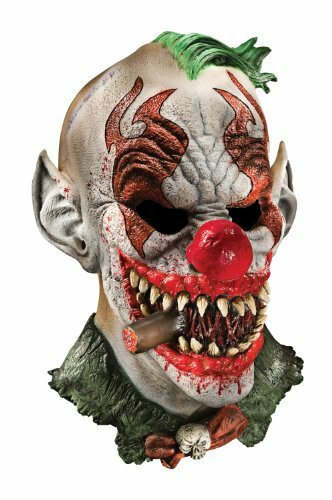 Now more than ever, scary clown costumes are hot, hot, hot. 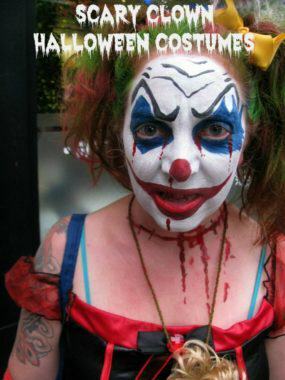 Me, I can do without the creepy, scary clowns, thank you very much. 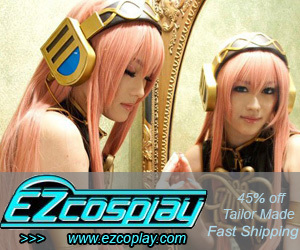 But I know that if you’re here, that’s exactly what you are looking for! 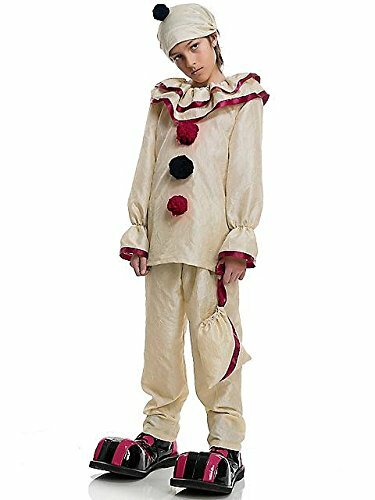 Just when you thought you were safe, scary clown Halloween costumes are all the rage again. 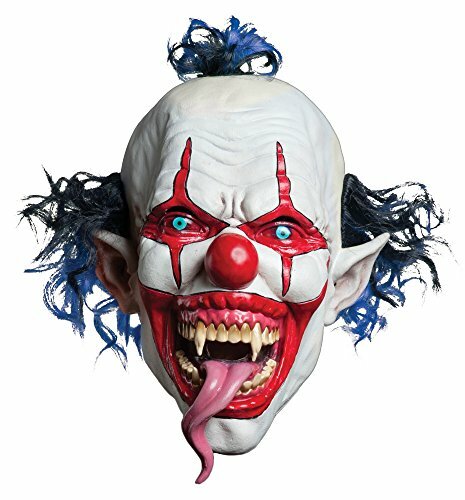 The recent entry of American Horror Story’s Twisty The Clown scared me into turning on the lights when I watch the show. 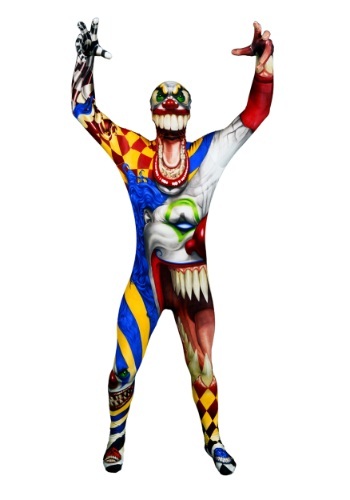 And he has scary clown friends! 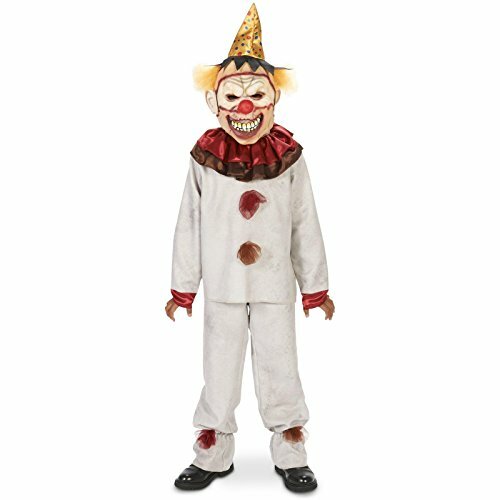 Pennywise, the horrifying clown from the Stephen King movie It, made a new appearance too. 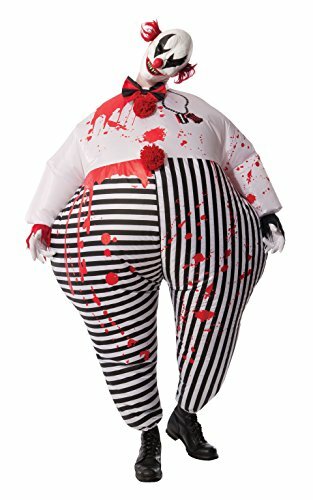 Pennywise has so many fans too. 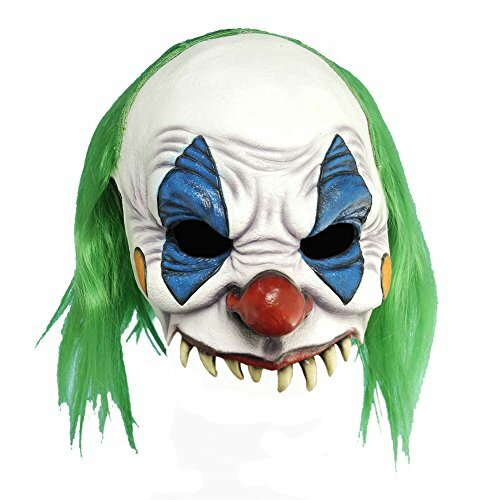 Are you a fan of Pennywise? 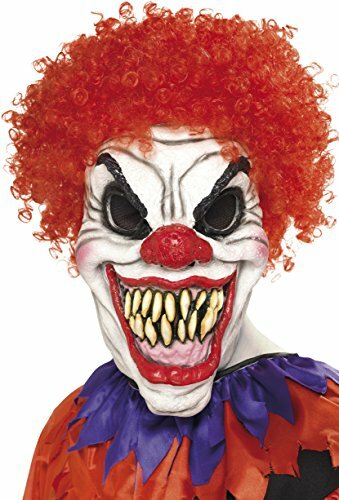 So, the scariest clown around this year is Pennywise from the 2017 remake of Stephen King’s horror story, IT. 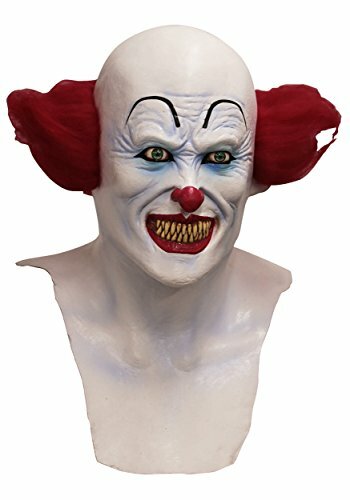 Don’t miss the Pennywise makeup tutorial further down this page. Check out what I found over at Walmart. 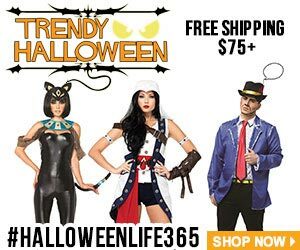 If you’re looking for a costume for the office party or a Halloween party with friends and family, these are certainly worth looking at. 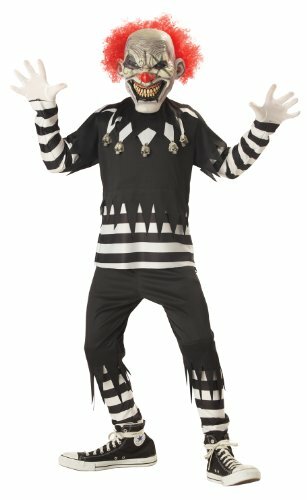 Affordable, yet SCARY! 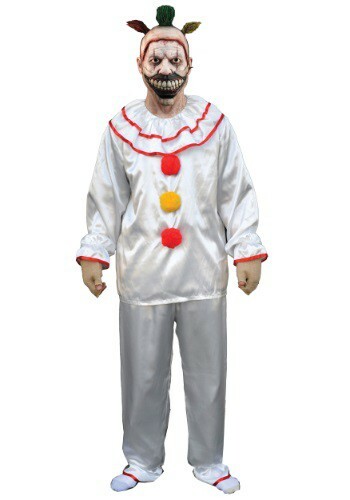 Costume Craze has some creepy scary clown costumes. 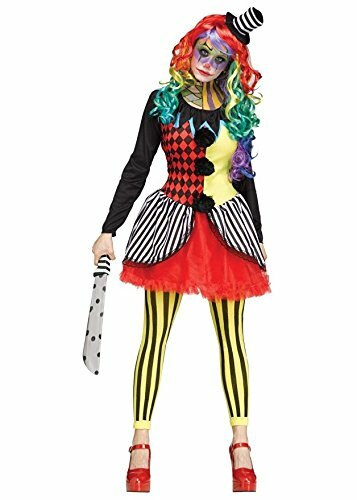 There’s even a teen costume. 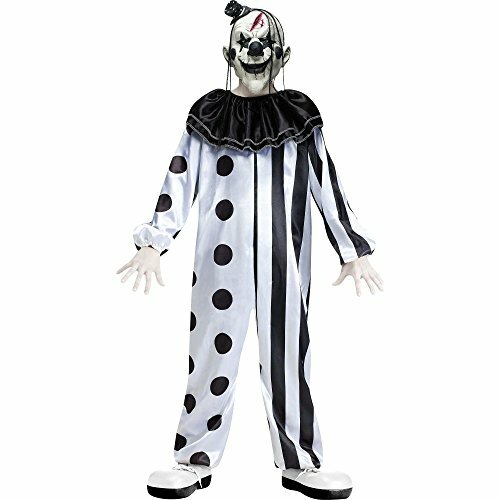 Again, these would be great for an office party, Halloween party or even working at your local haunted house attraction. 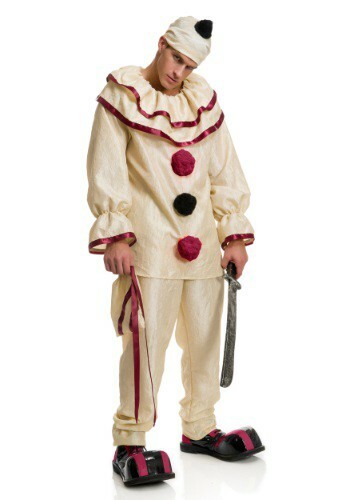 Not to be outdone, Halloween Costumes has some great adult scary clown Halloween costumes. 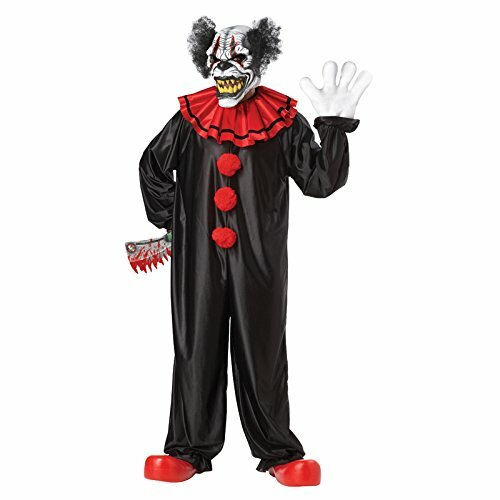 Lo and behold, they even have the newest killer clown on the scene – the American Horror Story Twisty The Clown costume. 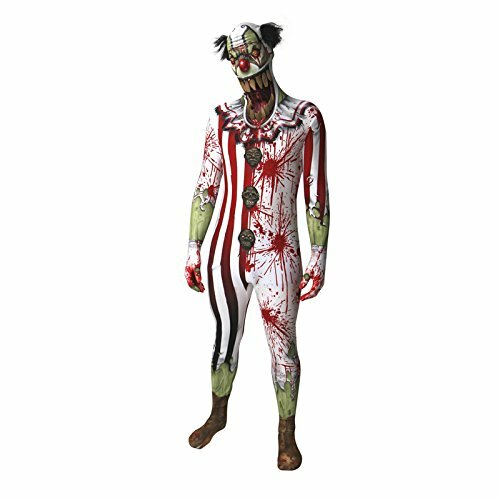 Grab your scary clown costume and dress up for Halloween. 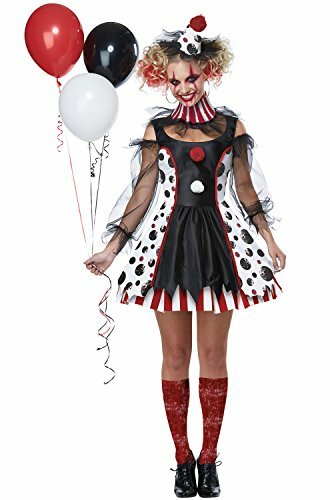 Everyone that comes to your door will get quite a surprise! Come one, come all! 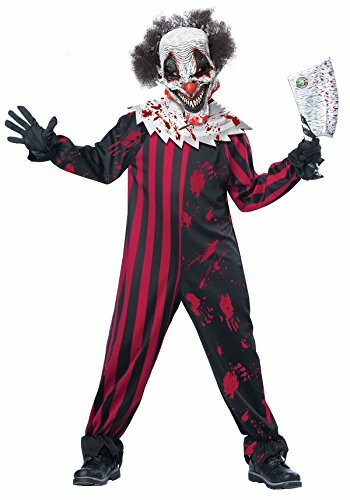 Get your chills and thrills with a scary clown Halloween costume! 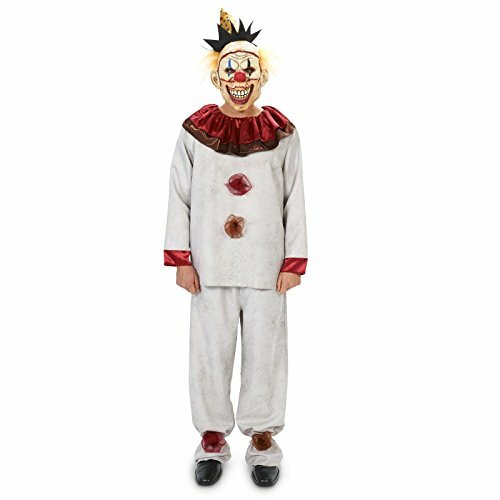 You won’t want to miss the selection of scary clown Halloween costumes at Amazon. It’s a pretty good collection. 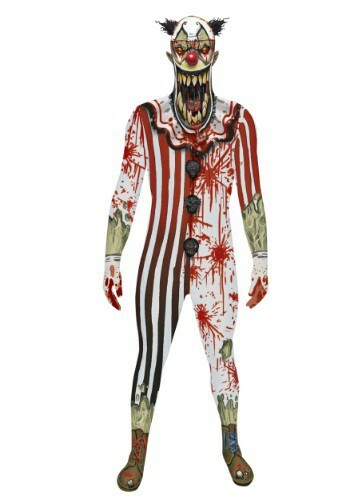 Or should I say, It’s a pretty scary collection! 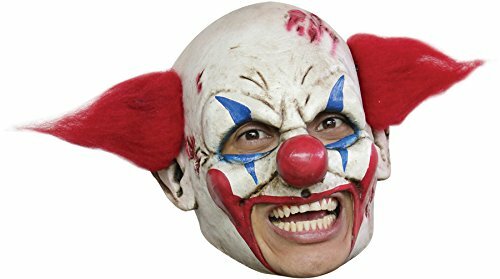 If you just want a scary clown mask, there’s a horrifying selection at Amazon. 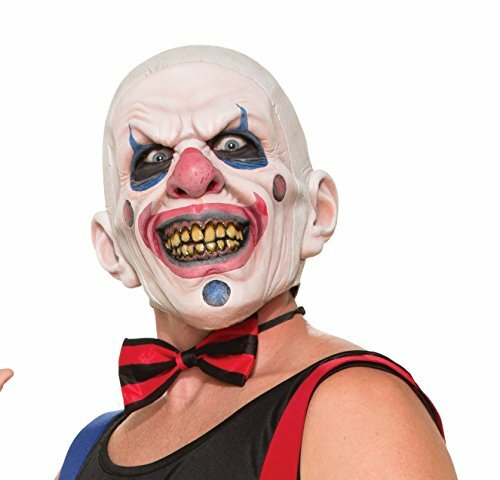 Take your pick from these uh, great costume masks. 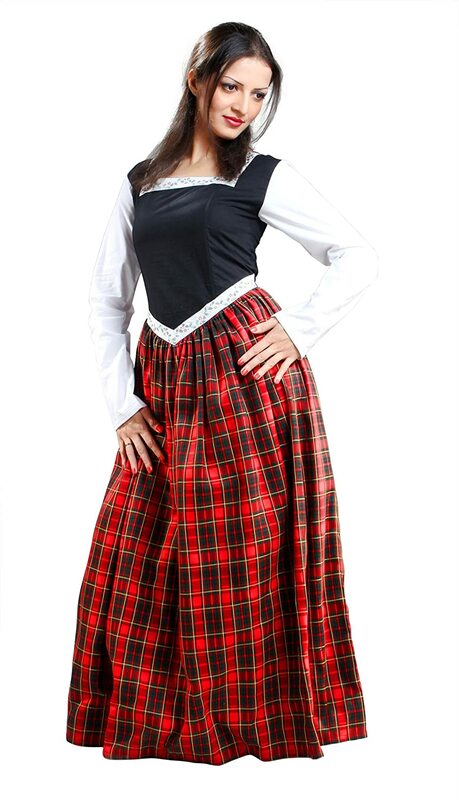 What’s that you say? 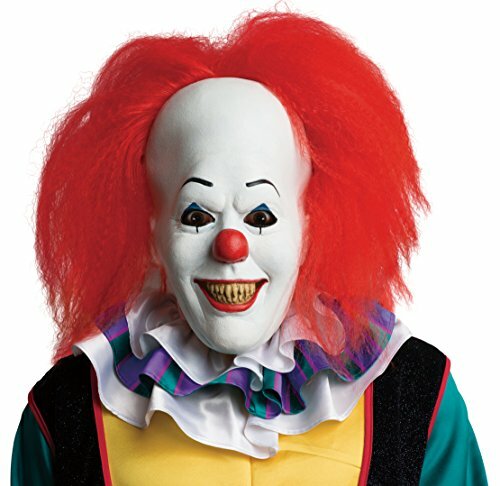 You want to go all Pennywise with your scary self? 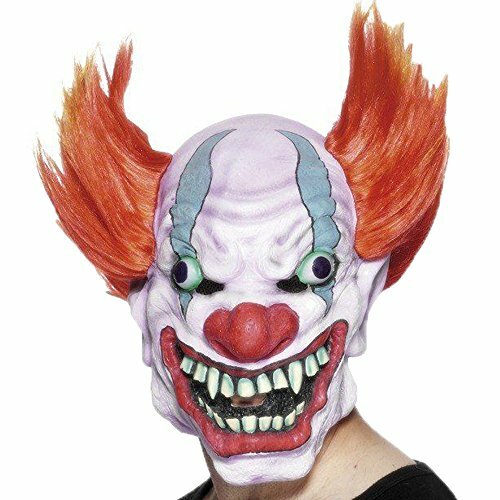 Here’s a cool makeup tutorial for some great ideas on how to do the 2017 version of Pennywise from the IT movie. 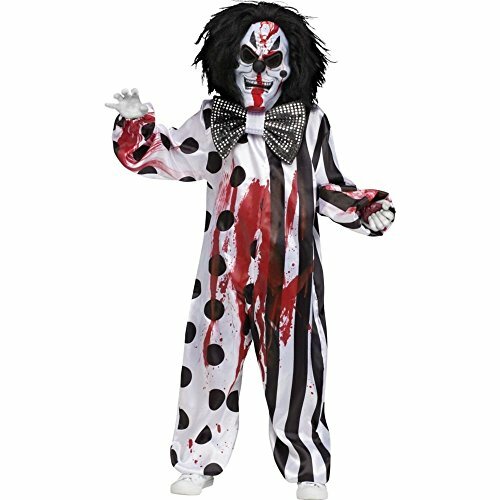 Ever notice how much fun kids have with scary costumes? Not many of them creep out like I do. And I’m no kid, let me tell you. 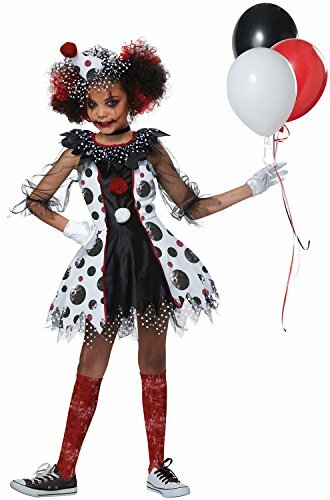 If your child is wanting to dress as a scary clown this Halloween, they’ll love these kids scary clown Halloween costumes. Talk about variety! 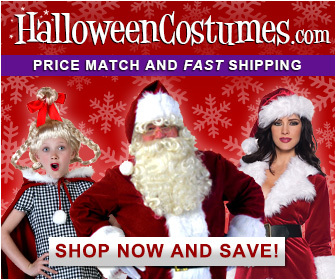 eBay is always a fun place to shop for your costumes. 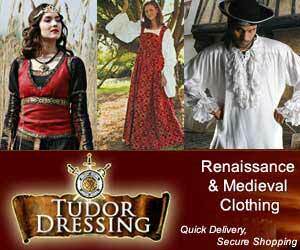 They always have a huge selection with great prices. 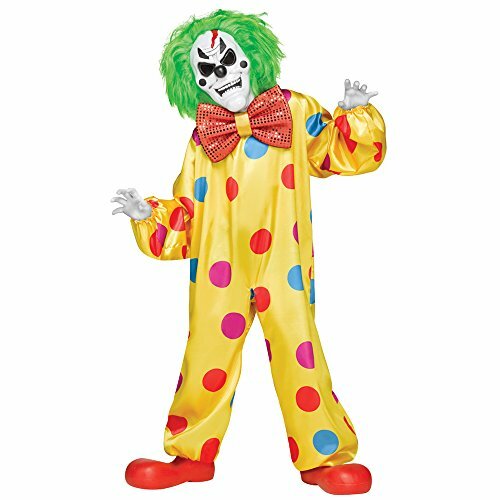 Take a look at some of these scary clown costumes. 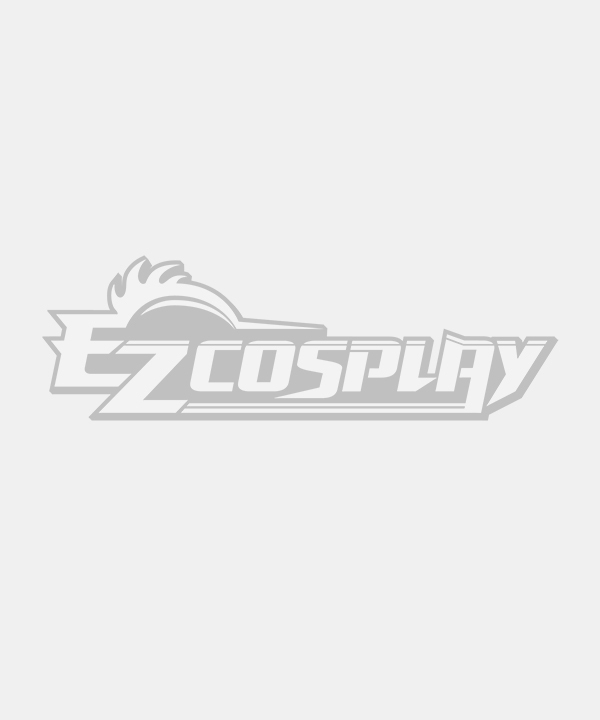 Next Article Get Your Doctor Strange Halloween Costume Today! 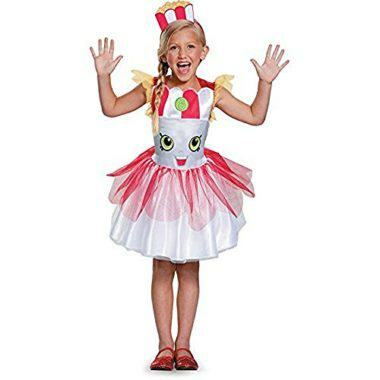 Clowns are definitely great Halloween costumes for kids of all ages!